It's that time again, the time when we announce our plans for the coming year(ish). We have a bit of a sad announcement first which is that we have had to abandon the building of the LNER J21. We simply couldn't get hold of enough high quality plans, diagrams and reference material to do it justice. It's still high on our "want to do list" but for now we've had to put it to one side. So with that out of the way, the better news is that our next loco will be..
Quite a few locos! Following on from the success of our GWR Small Prairies our next pack is going to be the GWR Large Prairies. 3100 (original numbering of the 5100 class), 5100, 5101, 6100, 8100. We're also excited to announce that we've been experimenting with some new texturing techniques which we hope will add even more realism to the high quality models that we produce. 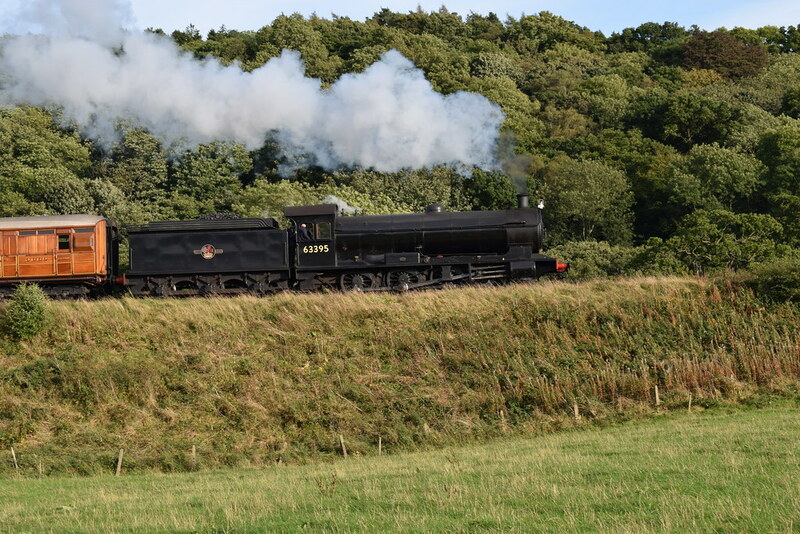 Following the Large Prairies we will be going north (home of our highly regarded K1) to an engine that we do have research for... the NER Class T2/LNER Q6. After this we will be building on the success of our 4-6-0 GWR Saint with the GWR 1000 County class. We hope these are locos that you are excited about seeing in Train Simulator and we'd like to take the opportunity to thank everyone who has purchased any of our engines and allowed us to continue doing what we love. 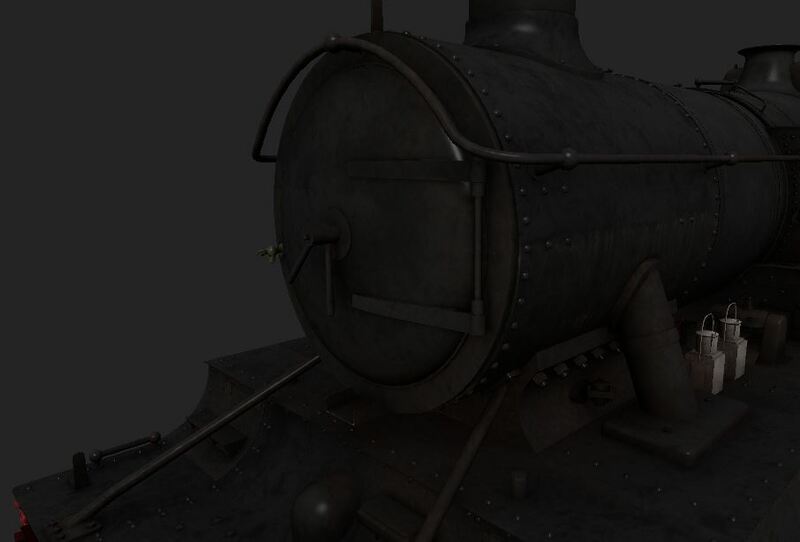 I'm so glad to see a true heavy freight loco being made for the game. This will make a fine addition as the loco is very popular proven by the 50 years of use up until the last days in steam on BR. Large prairies, Good sounds in scenario mode please. Looking forward to this. Glad to see the County. So now we have a complete set of GWR 4-6-0's. Thanks for completing the major ex-GWR classes! And now you've asked, I would love to see some pre-nationalisation covered vans. The Q6 wil be very welcome too, the NE has been sadly underrepresented. Excited, I'd think, would be the understatement of the day. I am truly ecstatic to see a Northern goods engine. An area in TS that greatly suffers, although I would like to see maybe the Thompson O1s, Gresley O2s, and maybe even the J38/J39. Admittedly, I'm not truly fond of the Large Prairies, but they are very nice locomotives. The Counties on the other hand are a spectacular choice of locomotive, despite so many GWR mixed traffic engines already existing. They are my personal favorite 4-6-0s, next to the B16s. If possible I would like to suggest some other engines in future. Eastern Tank engines tend to be a neglected area in TS. I would suggest maybe the Thompson L1, Gresley V3, and J72. I would like to suggest the D34, D49, and maybe the Claud Hamiltons for Eastern Passenger engines. 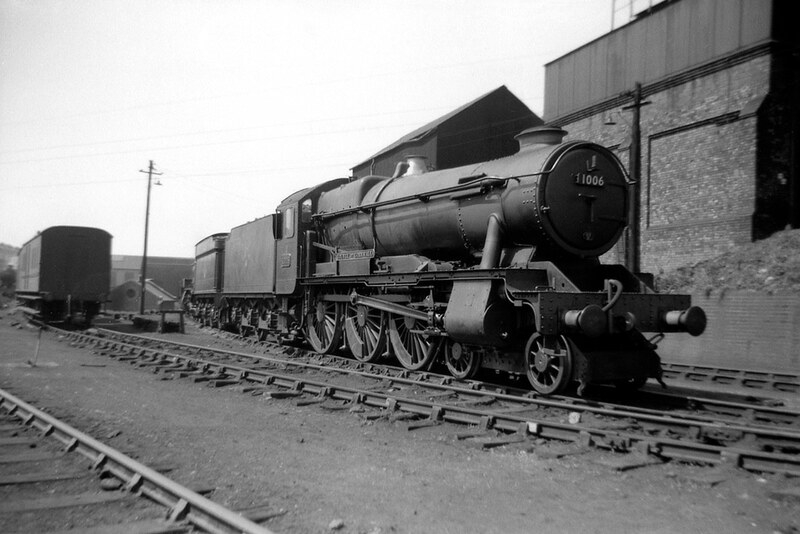 Others I would mention are the LMS STanier 2P 0-4-4T, Fairburn 4MT, and maybe some Ivatt stuff. I would also suggest the Std 2 and 3 tank. Being a southern railfan, I couldn't leave them off the list. Considering you've already built an engine synonymous with the IoW, I would suggest the O2s (Mainland and Island variants). another engine synonymous to the IoW would be the E1s (Mainland and Island variants). Considering they're the freight equivalent of the O2s, I would suggest the G6, Others I would be suggest are the LSWR T9, SECR C, P, H, and O1, LBSCR E4, H1/H2, and K classes would be good sellers. Personally I would like to see maybe the LBSCR L, J1/J2, and I3, but that is a personal preference. To put you out of your comfort zone, but not by much, I would suggest the VoR. It would provide some much needed Welsh NG, while keeping a GWR theme. I am looking forward to every one of your projects, they have all been most impressive to date. Also, you mentioned suggested rolling stock? I'd like to see some Dean or Churchwood type coaches, as well as some salt wagons and different variations of Perishables wagons. Would you be able to make a pack add-on (like the 4200/5200 and 7200) for WSR 9351 as it was once a large Prairie: 5193. Shame we wont be seeing a Victory Works version of 9351 but cant have everything in life. Do you take request's/ suggestions for future projects? Brilliant news on the Counties! Great call. will they feature the new texture model?